MSC Cruises - The best choice for families and lovers of the Mediterranean! Why Book Your Next Trip With MSC Cruises? MSC Cruises are an incredibly reputable name in the tourist industry and has amassed over 11 million satisfied customers to attest to their greatness. Although the name “MSC” stands for Mediterranean Shipping Company, this company caters to way more than just Mediterranean Cruises. You can choose from eleven different ships before you make your decision on your next cruise holiday with MSC. If you are looking to indulge in some luxury, there is no need to wait any longer before booking your trip to whichever part of the world suits your fancy via an MSC vessel. What’s Included In My MSC Cruise? What Is There To Do On An MSC Cruise? 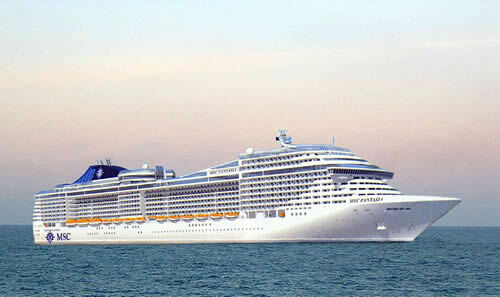 MSC Cruise vessels are essentially their own entertainment complexes at sea. These giant ships feature a vast array of amenities that include (but are not limited to) swimming pools, movie theaters, restaurants, bars, night clubs, spas, hair salons, shopping centers, casinos and more. They also offer classes in the realms of yoga, art and lots of events for the young ones. When you are enjoying yourself on the shores during your trip, you can opt to go it alone or book any number of the various excursions available to you - just ask the friendly cruise paradise experts for advice. Where Will An MSC Cruise Take Me? Depending on your destination, there are conveniently dozens of embarkation points you can choose from, all of which are easily accessible and affordable to Irish travellers through various modes of transportation. MSC is also extremely accommodating in this realm, by offering packages including flights, airport transfers and even an exclusive lounge for those flying through Genoa airport. Once you are at your embarkation point, MSC Cruises can take you through Europe, and their Mediterranean Cruise packages are very popular with our Irish custoemrs. 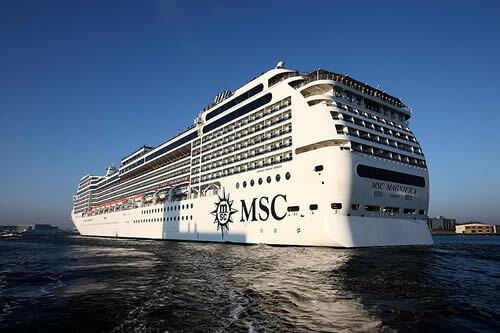 MSC also offer desinations such as the Canary Islands, the Caribbean, South America, South Africa and a few other tantalizing destinations across the globe. Depending on how far your vessel is taking you and how much time you have allotted for your cruise holiday, you can choose a package between as little as 1 night to 2 weeks.